Our range of small parts storage cabinets are essentially cabinets with transparent drawers that are strong like stack nest containers, that provide a clear view of the items housed inside. 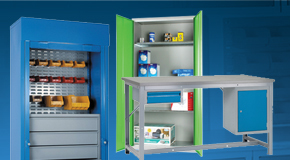 Our small parts storage cabinets are perfect for small items such as components, tools and fixings. The clear hard wearing plastic draws provide easily accessible storage and the transparent design enables the user to clearly see what is in each compartment. The clear cabinets are a stylish industrial design that will suit any intended factory, production or storage environment. 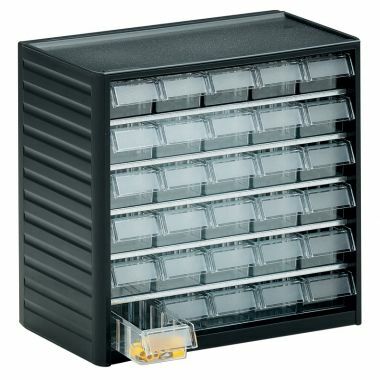 Small parts storage are a cost effective system providing clearly visible storage of small item, supplied with labels for each drawer. 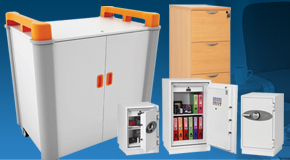 Cabinets can used on worktops, wall mounted or supplied with a turntable kit which houses a full height block of cabinets that can be rotated, providing large storage capacity in small spaces. 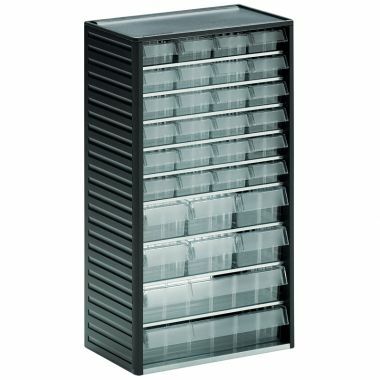 The cabinets are available with a large number of different drawer sizes, providing plenty of choice to find a cabinet that meets different requirements. 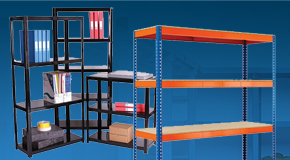 G Force Europe features a large stock range of small parts storage solutions for you to choose from. 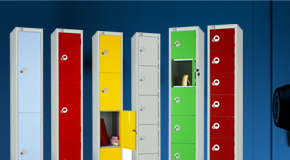 Ranging in colours and dimensions, we will have the perfect parts storage solution for all your needs. 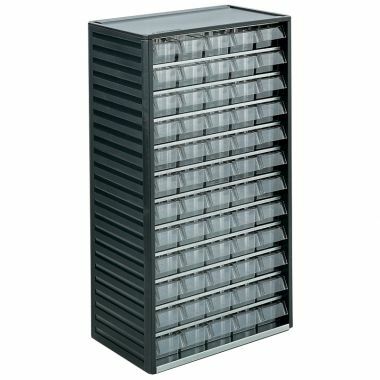 Organise your working environment with these practical and robust plastic shelf trays and plastic storage cabinets. 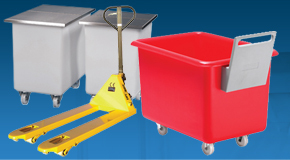 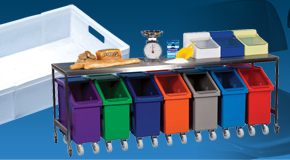 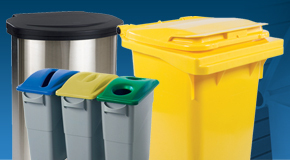 We offer a complete range of plastic shelf bins, sold separately or as complete storage systems with a steel cabinet. 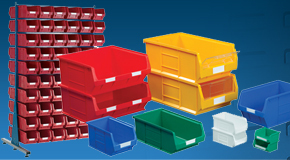 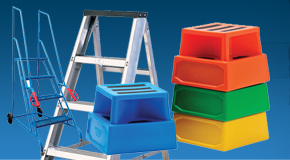 Shelf bins are available in a range of sizes and colours, great for storage of small items such as tools, components or fixings. 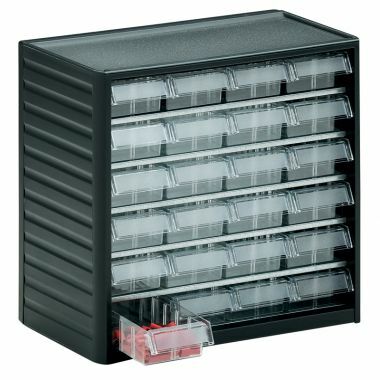 Combined with the correct picking wall, these storage systems are perfect for use on shelving or workbenches in factories, workshops and warehouses.